Training – we provide specialized courses in accounting, audit, risk management, compliance and fraud. PML Advisory is a professional advisory firm in Nigeria that provides clients with specialized services in International Financial Reporting Standards, Risk Management Compliance, Internal audit and other Accounting services. Our experienced and dedicated faculty provides theoretical and practical insight on accounting, consolidation, internal and external audit to clients in oil and gas, manufacturing, financial services, telecommunication, government agencies and parastatals etc. We have experience working with clients in the private and public sectors and helping them to transform business operations through well-tailored courses. PML Advisory has trained over 150 clients from different sectors of the economy within and outside Nigeria. We provide practical and hands on courses. 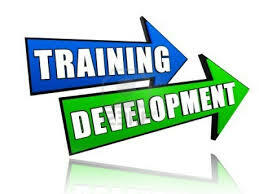 Training consist of concise briefings on best practice, backed up by interactive learning activities like workshops, role-plays, case study analysis, coaching, brainstorms and structured group discussions. You will not sit passively through long lectures. On completion of each courses at PML Advisory, we issue certificates to our trainee, evidencing their enrollment and attendance for our courses. We run both in house and open training based on which your organisation’s need. Our programs are specifically designed to ensure your staff members are effectively utilize all the tools and knowledge necessary for professionals to be successful in today’s market.